How do I get from the top of Cypress back to Ron Andrew’s Community Centre? When do I submit my waiver? You will sign the waiver at check in before starting the ride. Please have your waiver ready at check in. Online registration will close on the Thursday before the event. On-site registration will be available at Ron Andrews Recreation Center until 7:30am. Is there going to be a bike mechanic on site at the beginning of the ride? Unfortunately, we could not secure a bike mechanic for this year, please have your bike inspected before the ride. What kind of ride support will there be for the riders during the ride? There will be vehicle support which you can access during the ride. We suggest however, that you be as self reliant as possible. Please have a flat repair kit, hydration, emergency contact information, cell phone and any specific nutrition you prefer with you on the ride. You will be able to access hydration and some nutrition from the support vehicles. Is the fundraising component mandatory? There is no compulsory fundraising – any contributions will help our cause at BC Children’s Hospital’s heart unit but it is not expected of our participants. However, we encourage people to try and set a reasonable goal and contact their friends for donations. You would be surprised how many friends are willing to donate if you send an email that says ‘Hey, I’m doing this crazy thing for a good cause, would you like to support it?’ We built a system that makes it fun and easy to see how close you are to your goal, as well as allowing your sponsors to leave you messages of encouragement, so give it a try! We understand that people have concerns that some rides and races don’t contribute a large part of their proceeds to charity. As such, we established very early that this organization would be about giving the absolute maximum to Women’s and Children’s Hospital. 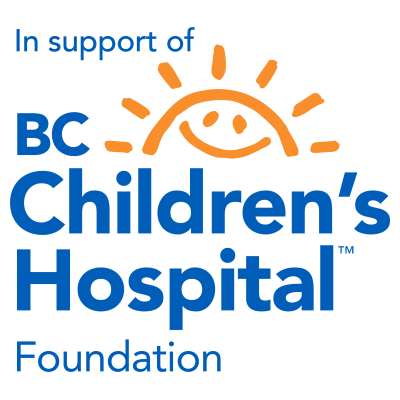 We are a registered non-profit organization and 100% of the donations will go directly to the BC Children’s Hospital Foundation and tax receipts will be provided for any donation above $20. All our staff volunteer all their time, and we try to keep costs down to a minimum. We use your registration fee for things such as permits, posters, signage and food for the ride. We hold a small amount in our account for next year’s expenses, but anything left over will also be donated. Also, read about our Mission and Values.